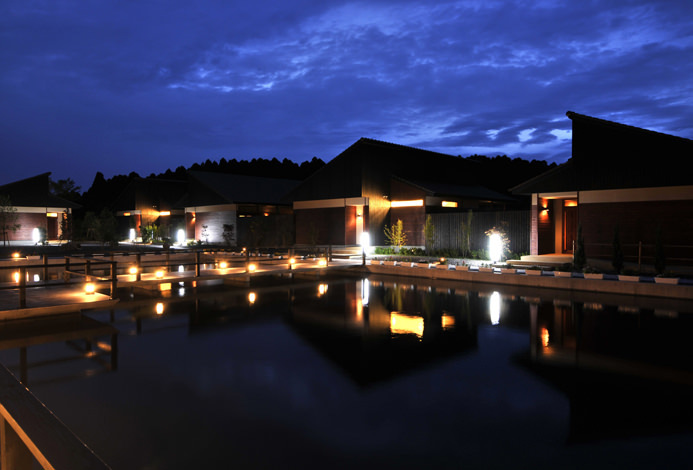 Embraced by the mountain range of Kirishima, Komatsu is a small inn with 6 guest rooms. Only a small inn like Komatsu can provide fine hospitality and homely experience. Each room is equipped with an indoor bath and an open air bath. Free flowing and simple sulfur spring water bath is ready in your room whenever you wish to take a bath. 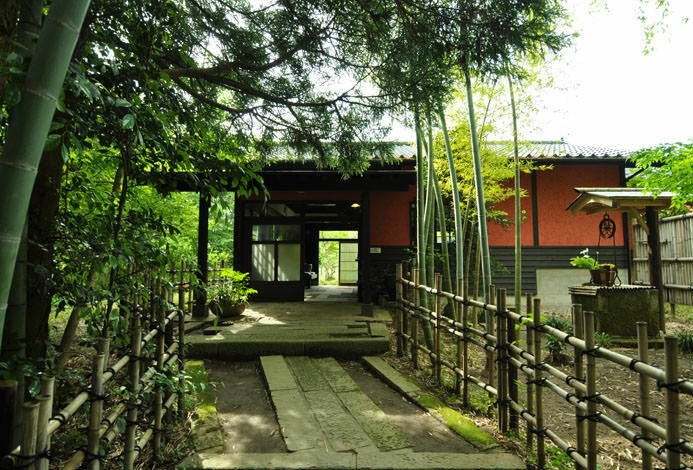 The hot spring water comes from Kirishima Onsen a very prominent source and the water is very gentle to your skin. Wrapped in a mineral smell of the hot spring, while appreciating the splendid scenery the nature offers in each season, enjoy a relaxed moment while soaking your body in the tub. We have a bowl of shaved ice available throughout the year for guests to cool down after the bath. Dinner is a Japanese kaiseki style using lots of fresh ingredients in season including mountain delicacies. Komatsu offers dishes that are enjoyed by the 5 senses. Fresh ingredients, color, decoration, dishes are carefully chosen and presented. Wild herbs in spring, sweet fish in summer, wild mushrooms in fall, and stew with boar meat in winter, the list goes on. The most popular of all is *shabu shabu with the meat of Berkshire pigs raised in Kirishima area. *shabu shabu is a dish of thin sliced meat and vegetables dipped in boiling water. We are looking forward to having you here at Komatsu Inn. Let's get warmed up in hot springs and enjoy your vacation in Kirishima. This is the best hot spring hotel ever! Everything is awesome, the room, the dinner and breakfast, indoor and outdoor ho... Read more This is the best hot spring hotel ever! Everything is awesome, the room, the dinner and breakfast, indoor and outdoor hotsprings. The hotel knows well and takes good care of every detail you may or may not think of. My family and I enjoyed a lot and had a relaxing stay in the hotel. We would love to come back again! Thanks a lot. This is the best hot spring hotel ever! Everything is awesome, the room, the dinner and breakfast, indoor and outdoor hotsprings. The hotel knows well and takes good care of every detail you may or may not think of. My family and I enjoyed a lot and had a relaxing stay in the hotel. We would love to come back again! Thanks a lot. Thanks for the wonderful stay. Would like to visit again. Every room is equipped with an unique outdoor bath and an indoor bath. Enjoy the hot spring whenever you wish in a private bath in your room. Hot spring water in your private bath is free flowing that is of simple mineral base and thus it is gentle to your skin. An open air bath located in the annex is available to guests. The type of hot spring water is mineral based. It is gentle to your skin. The temperature at the source of the spring is 97.3C. Water is added to control the temperature. The hot spring here is believed to be beneficial in healing skin diseases, women's diseases, scratches, diabetes, etc. A bowl of shaved ice is offered all year round to cool down after the bath. ・Our plan does not include bath tax of 150yen/person. 20 min taxi ride to the inn. At Kirishima Onsen bus stop, take a bus bound for Iwasaki Hotel. ・Kagoshima Airport- Kagoshima Airport bus stop-Take a bus bound for Iwasaki Hotel.